My answer would be yes. Sometimes, there is such a meeting of minds, hearts, and souls that two people become intricately connected. Perhaps that person is the elusive soul mate. For some reason, though, life and distance intervene and you cannot meet. The brain is a funny thing, it apparently lights up in the exact same way for an event as for the memory (or idea) of the same event. There is a special and rather beautiful word in Welsh: “hiraeth” meaning the yearning or longing for home. This missing is a yearning, longing to be with someone, to see them, of course you can long and yearn to see someone you have never met, someone you have a sense of, someone whose absence is felt even though you have never known their presence. Feelings often are not logical and we may be drawn to someone for some mysterious reason and if it’s reciprocated, it can become a strong emotional bond. And if the connection is broken , there will be an empty feeling , we will miss them. Circumstances will not ever bring you together, but you will always think of each other and what might have been. It will leave you with a feeling that something is unresolved. Yes you can fall in love long distance. 7 Responses to Can You Miss Someone You’ve Never Met? i believe we have a whole haven family that can attest to this! love your stuff, red! and, i miss you dearly, even though i’ve never really “met” you……. I believe it’s all true .. I have a feeling of missing my other half. Someone who would understand me, think like me, go through life with me, have philosophical brain like me, similar passions and interests. Someone I’ve never met yet but for unexplained reason I miss him/her. The imaginary reflection of me. 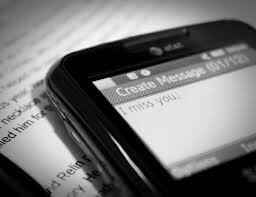 i understand that feeling perfectly because i have been chatting with some guy that i have never seen and when ever he is not on line i miss him so much but i cant really admit it to him because it feels so weird missing someone you have never met. There is a day he spent without being online tried to call him he never responded for two days and i was anxious though i kinda knew where he was ( proposing to his girlfriend and had a wedding to attend to) but still needed him to be there or at least return my calls and say he was fine and what made me even more happier is waking up the following morning and find an apology on my whats app saying he was so sorry for worrying me. Yes – this is true – you feel connected in some way and you never met this person or heard their voice. Another one that is very prevelant and undeniable- is when you are born in one country – live and grow there and get taken back to the country you are told where you originated from – for some reason you feel as if you belong with country and see the people there and you connect immediately – also benifiting as all at once you understand you understand your self more.